50 – F I F T Y times… I’ve picked, strummed and frikin’ yodeled to raise money for charity. It’s mainly been for the wonderful Alzheimer’s Society but also the RNLI and The Alice Gross Music Trust with my gastronome pals Battenbergbell and SilverScreenSuppers. As you may remember I started out aiming at about ten if I was lucky, held my nerve and wasn’t a twanging car crash so this, dear friends, is an astounding milestone. 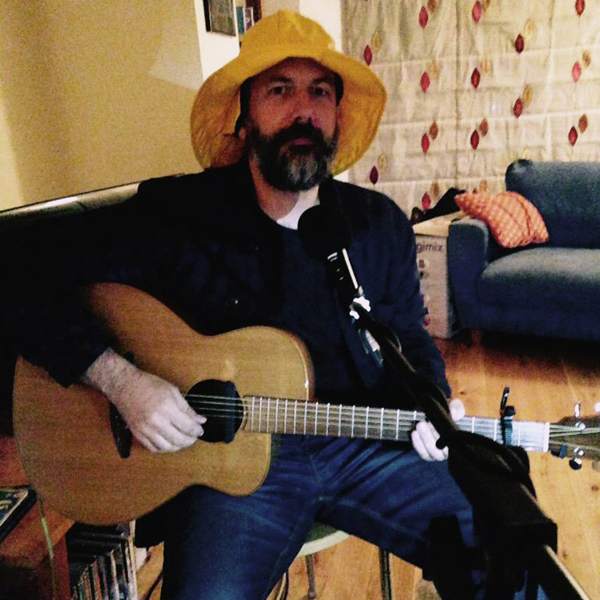 Now almost 50 gigs in and I have a fuzz box and feel perfectly at home dressed up as a fisherman. I’ve said this before but it is a funny old world. Do you remember why I’m ritually humiliating myself? It’s to do my bit to support dementia care and research so that people don’t have to go on the same harrowing journey as my remarkable wife, Nicky, and father in law, Paul, have been on – dementia is a terrible illness not just because it effect those who suffer from it but because it effects so many loved ones who care and with so little help and support. We need to change this. We need to do much better. A lovely thing happened at a Seven Songs in Sheffield. My dear old chum Carlton had invited me up – he stood against Nick Clegg in the Sheffield Hallam as an independent and I secretly think I could have helped him win that seat for him if he invited me up during his campaign but possibly I’ve seen to many West Wing reruns and I’m not John Bon Jovi. Anyway one of his friends is the BBC Radio Sheffield presenter Sarah Major who recorded me on her phone and made up this stupendous package for her Sunday morning show, which I think captures what we’re about at Seven Songs perfectly. Have a listen here. So back to my 50th Seven Songs. It’ll be in the living room of some very old and very dear friends, Dino and Angela. I’ve not seen very much of them over the last 20 years but I lived with them when I was traveling in Israel in 1987 and we shared a number of odd/wild/difficult/happy, tractor driving, greenhouse building adventures. It’s the perfect place for a 50th Seven Songs and it will be unplugged! 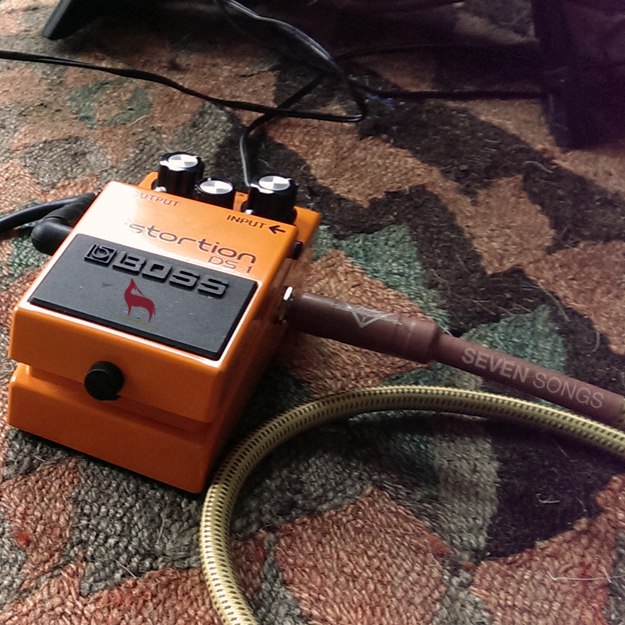 No wee amp, no mic, no image mapping pedals and no fuzz box, just my guitar. I’m a bit nervous about this – I’ll tell you how it goes. Of course there are a number of other gigs in the diary; a trip to Glasgow, A German Seven Songs (in Reading), a start wars seven songs in Denham and a Seven Seas trip to Bournemouth to name a few. So that is really it, things are good and we’re charging toward £6000 milestone. Any success we’ve had is, as always, been with the help of amazing friends and kindhearted strangers. 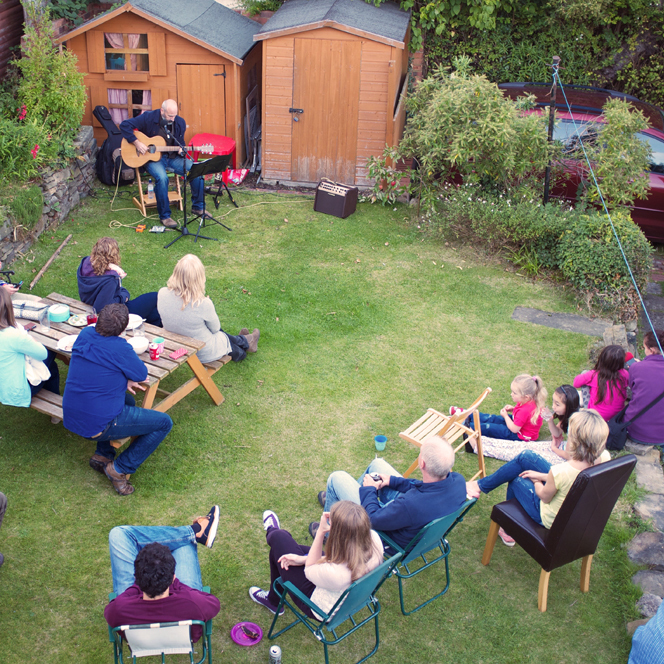 And of course there is still time to book a Seven Songs gig in you living room, kitchen or garden just get in touch with me at davie.mcgirr@sevensongs.org or on facebook. Lisa Kohn, PCC Chatsworth Consulting Group ________________________________ Tel: 610-254-0244 Email: lkohn@chatsworthconsulting.com Website: http://www.chatsworthconsulting.com ________________________________ Thoughtful Leadership. Be present. Be intentional. Be authentic. Get results.